BugHerd's integration with Redmine will allow you to sync BugHerd tasks to Redmine Issues. The Redmine integration can be setup as bi-directional. 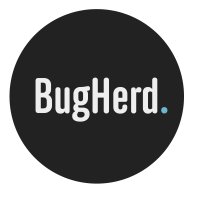 If you configure the BugHerd Web Hook, then when a BugHerd synced issue is modified in Redmine, it will be updated in BugHerd as well. Because Redmine and BugHerd's bug statuses and priorities are different from Redmine, you can fully customise the mappings. BugHerd will not be able to authenticate against your Redmine server until the plugin is installed! Next, enable the REST API if this hasn't been done. Go to Administration > Settings > API, select "Enable REST web service" and click Save. To add a Redmine integration to your BugHerd account, select integrations at the top of the BugHerd project management pages. On the Integrations page, find Redmine and select "add integration". Once BugHerd has verified your token, click save to go to the next page. Here you will be able to configure your status and priority mapping. Note: you may skip this step if you do not yet have a good grasp of how you wish to incorporate BugHerd into your process, you can come back here any time from the main integrations screen any time. Note: the field BugHerd Project Key should have been created as part of the setup steps when installing and configuring the plugin. Once you have clicked save in the Redmine project settings, you can verify that the key works using the verification link on the configuration dialog. If you see a message web hook is active, congratulations, your setup is complete! Now if you create or update a task in BugHerd, you will see the change in your Redmine project under the Issues tab.